Buy now this product together with Bovine handle - Bresaola Steiner approx. 400 gr. ready for shipment: in ca. 5 days Bovine handle - Bresaola Steiner approx. 400 gr. Belly Bacon Steiner piece approx. 400 gr. 8,65 EUR / 21,63 €/kg. 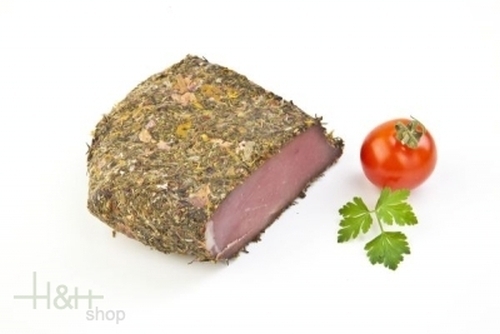 South Tyrolean cattle ham Bernardi K. approx. 600 gr. 23,70 EUR / 39,50 €/kg.